You know dark days (and nights) are coming when the welcome kit includes a pack of long-burning candles and a big box of matches. 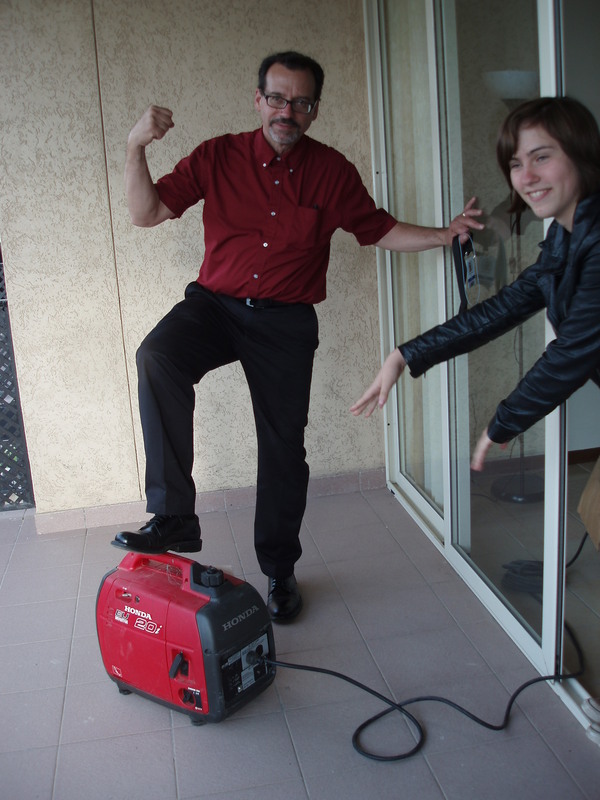 Also when new teacher orientation includes a session on how to start a generator. Power outages are common here. The electricity goes off for short periods several times a day. The school has a backup system in place so the computers keep running and everyone doesn’t lose their work. Frequent candlelight dinners make us feel fancy. It’s not a big deal. Shops are used to it, and in the daytime they just stay open and write receipts on a pad. Storekeepers and restaurateurs can’t afford to shut down every time the power goes off. At school the classrooms all have big windows that let in plenty of light. After dark there are lamps and generators if the outage goes on too long. The longest outage we’d had in our neighborhood so far is about 20 hours: once a couple of weeks ago, then again last Tuesday/Wednesday. That’s long enough for us to want to start up the gas-powered generator for the refrigerator. It’s noisy, but it’s out on the balcony. 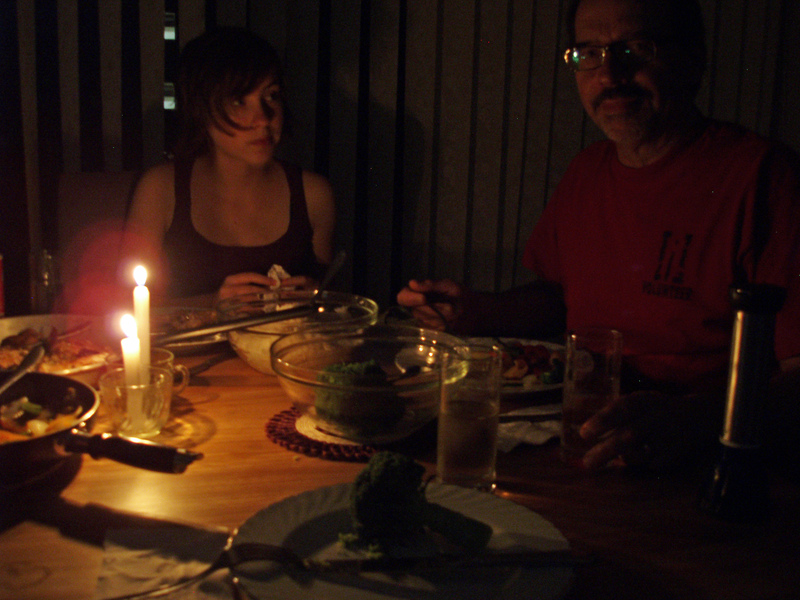 Eating by candlelight is so lovely!